The latest NFL news and rumors for the Buffalo Bills. 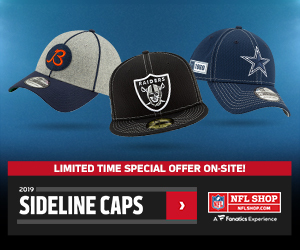 Stay up-to-date on Bills rumors, breaking news, player reports and whispered gossip from around the league. 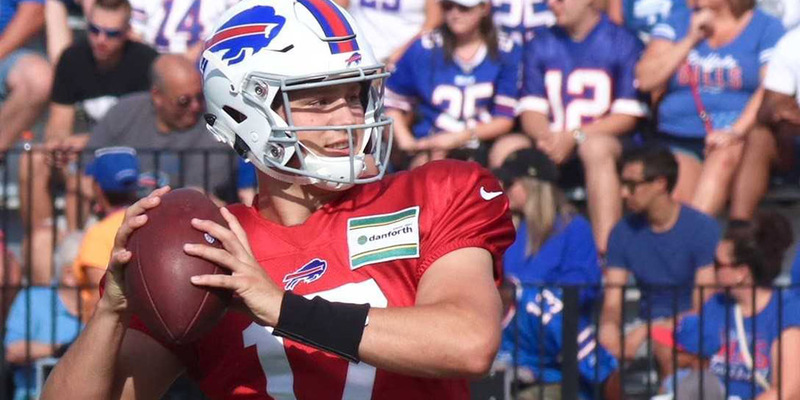 ESPN Buffalo Bills reporter Mike Rodak noted that rookie quarterback Josh Allen will work with the first-team offense at Monday’s practice, while Nathan Peterman runs with the second unit. Peterman led the first team at Bills practice on Sunday, but coach Sean McDermott is giving the number-seven overall pick from April’s NFL Draft a chance to work with the starters. It’s likely to be a fluid situation this week, but with A.J. McCarron injuring his collarbone in Friday’s preseason game, the door is wide open for Allen to take the starting job and run with it. Working with the second-team offense in Friday’s game against Cleveland, Allen completed 9-of-13 passes for 60 yards and a touchdown. He extended several plays with his legs and added 18 yards rushing on three attempts, leading scoring drives on all three of his possessions. Through two preseason games, Allen is 18-of-32 for 176 yards and two touchdowns, and while McDermott maintains the quarterback job is an open competition, the rookie seems to have the inside track on starting in Week 1. Allen’s own fantasy value is likely to be limited in 2018, as he possesses a lot of positive traits (most notably a huge arm) but is far from a complete product and will be playing in what is expected to be a lackluster offense. However, the vertical threat that Allen brings to the offense could loosen things up a bit for LeSean McCoy (assuming he avoids a suspension) in the running game, while modestly lifting the fantasy prospects of Kelvin Benjamin. As Allen looks increasingly likely to be under center for the Bills Week 1 trip to Baltimore, perhaps the biggest fantasy winner in all this is a Ravens defense that could be facing a rookie on the road in his first NFL start. Josh Allen got some first-team reps on Saturday and showed why the Bills selected him with the seventh overall pick. This is an encouraging sign going forward. Each rep with the starters that Allen gets is so valuable for the young quarterback and building some much-needed chemistry with wideouts like Kelvin Benjamin and company. Buffalo will continue to evaluate Allen with each practice and if he keeps improving the Bills could start Allen when they take on the Carolina Panthers on August 9th for their first preseason game. The Buffalo Bills selected quarterback Josh Allen with the seventh overall pick in this past years NFL draft in the hope that he could revive the Bills quarterback woes. Allen will compete with free agent signee AJ McCarron and 2017 fifth round pick Nathan Peterman. The Bills depth chart currently has Allen as the third-string quarterback, but that could change as training camp continues. Allen has a great arm and is a solid pocket passer, but many scouts had some questions on his decision making and footwork. Head Coach Sean McDermott confirmed on Saturday that the Bills would rotate the quarterback group to give all three quarterbacks the opportunity to throw with the first team. As far as Josh Allen goes for fantasy football purpose, he is a cheap option for a super flex league. His current ADP is 14.08, Allen is going behind Nick Foles and before Josh McCown. The is an affordable option that could pay off if Allen does start. 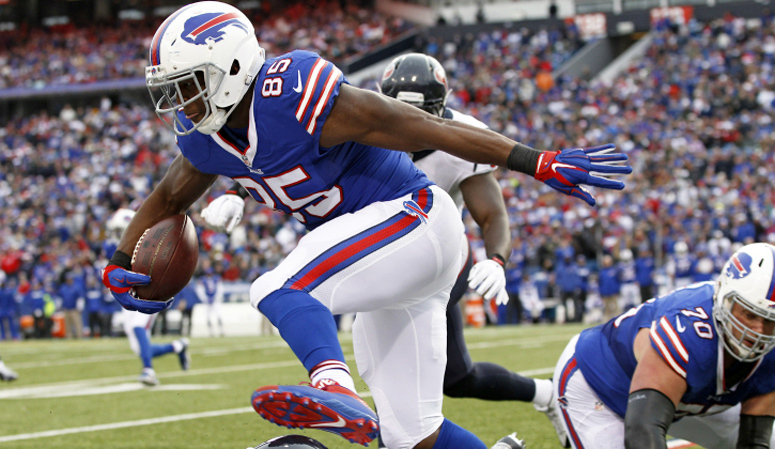 If you are drafting in a redraft league, then I would leave Allen on the waiver wire. He is someone you should monitor just in case he breaks out if given the opportunity. Allen’s current ADP in standard leagues right now is non-drafted. 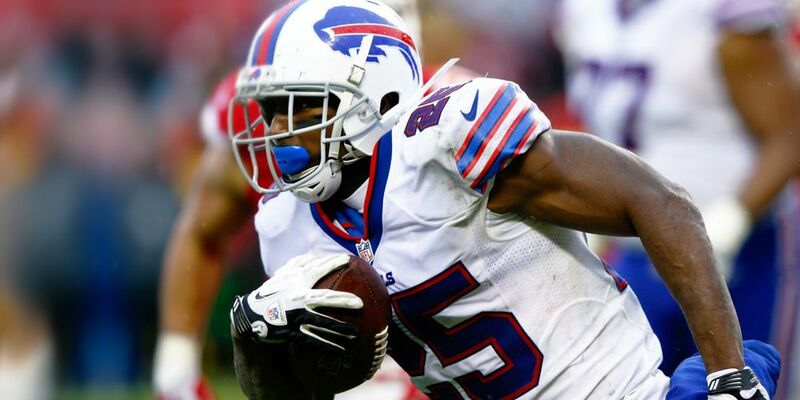 LeSean McCoy Should Be Ready to Roll? McCoy is still far from clear of all the drama that surrounds his personal life. All signs are pointing towards him being available for the upcoming season however and boy do the Bills need him. McCoy will likely get all the work he can handle on an offense that is a serious contender for worst in the league as we head into the 2018 season. McCoy enjoyed another top-10 season last year, finishing as the RB7 overall in PPR leagues according to FantasyPros.com. Although that should be enough to satisfy fantasy owners, it was a little disappointing as we saw McCoy’s average points per game drop from 20 in 2016 to 16.5 in 2017. Still, it’s only disappointing in the fact that McCoy finished as a top-10 RB instead of a top-5 producer. McCoy presents a solid value as his ADP on FantasyFootballCalculator.com has dropped down into the middle of the third round over the last month. McCoy will remain a value there as long as he is clear of any wrongdoing, of course. The quarterback play will likely be cringe-worthy in Buffalo this season with either A.J. McCarron or first-round draft pick, Josh Allen, the Week 1 starter. It isn’t uncommon for younger, inexperienced quarterbacks to lean on tight ends as a safety valve earlier in their careers. With the wide receiver corps in Buffalo possibly one of the worst in the league, Clay could wind up being featured early and often, as Buscaglia noted. Clay finished last season with an average of 9 points per game in PPR leagues in the 13 games he played in and has been consistently been right around that mark each of the last three seasons. If Clay had played in all 16 games last season, he would have ranked inside the top-10 tight ends, as Cameron Brate finished as the TE10 with 8.9 points per game. While the Bills offense is an utter wasteland of fantasy relevance this season, the tight end position is so thin that Clay makes for a solid late-round flier in fantasy drafts as your TE2.